There’s no shortage of drawing and painting apps for the iPad, but a new one has just hit the scene that will be sure to capture both your eye and your imagination. Using 3D technology, Psykopaint from Psykosoft — the company that brought you the online painting app as well as the Mac app of the same name — now simulates real-time environmental lighting conditions and visual depth for realistic paintings on the go. 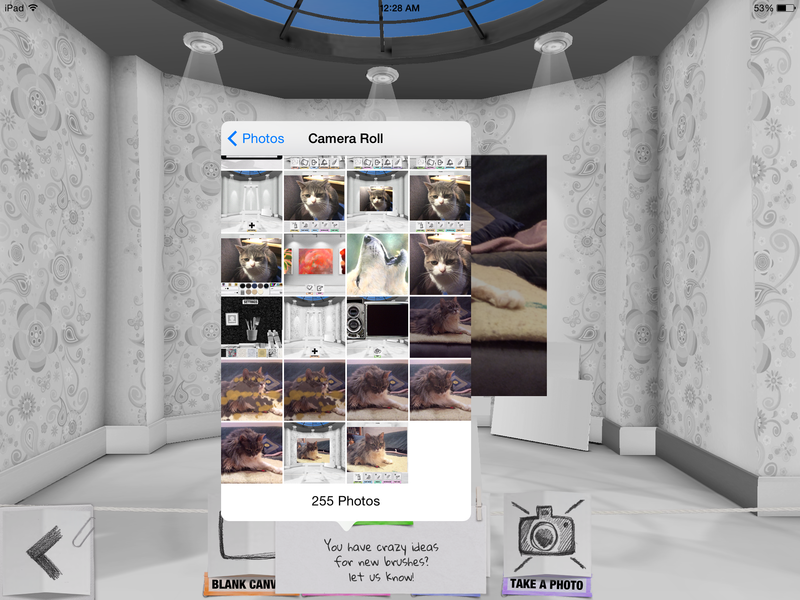 The app’s 3D features apply to the interface as well as the artistic output for a total immersive experience. As you launch the app, use your finger or a stylus to navigate through various rooms that are reminiscent of QuickTime VR or Google Maps. These environments function as realistic-looking artist ataliers, and you can even paper the walls with patterns for your inspiration. A 3D interface opens to an artist studio that you can decorate with wallpaper. Rotating your iPad around various points of the room lets you view changes in the lighting that falls on your painting, just as if you were looking at a painting on your wall at different times of the day. The position of the light updates as you shift the iPad in different positions. 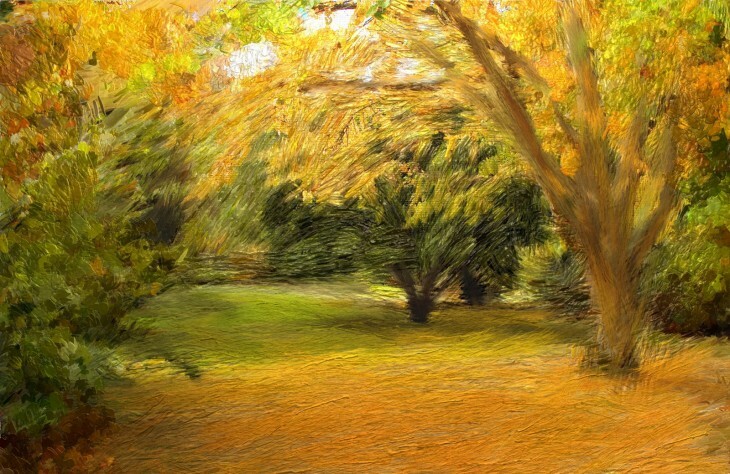 Beyond that, Psykopaint features many of the characteristics you’d expect from art-oriented painting apps. You can layer paints of different textures and opacities or paint on different materials to reflect the paper, canvas and wood of your background. Painting on a photo with the drippy spray can in the Kanagawa style. Psykopaint’s simulation takes into account paper absorption, texture and granularity. You can paint freestyle or in identifiable artistic styles such as Impressionism and Impasto via the brushes provided in the app. 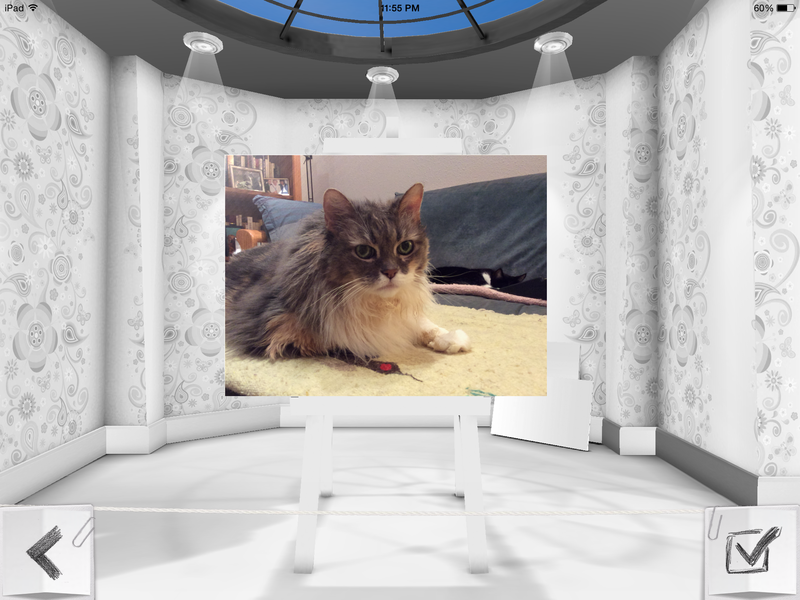 For example, your brushstrokes can imitate Monet, Van Gogh, Gauguin and others, or you can paint in the style of famous paintings like the Mona Lisa or Starry Night, with the color spectrum of your original photo matching the painting. Brush sets give a realistic rendering of how the painting would look on canvas. An innovative pipette system — by way of a tap and hold gesture (long press) — lets you sample and mix colors for a custom palette. A spray can paint drips color as you tip your iPad; colors spread as you move the brush across the canvas with your finger or stylus; pencil strokes perform according to the underlying surface. Psykopaint has even partnered with Wacom to support the Intuos pen, letting you control brush size and opacity — a nice touch that lends weight to the app’s professional artist appeal. There’s a choice of numerous categories of brushes. The Spray Can is free, the others are available via in-app purchase. But you don’t have to be a conceptual artist to enjoy Psykopaint. People who can’t paint or draw can get started using photos from their camera roll. 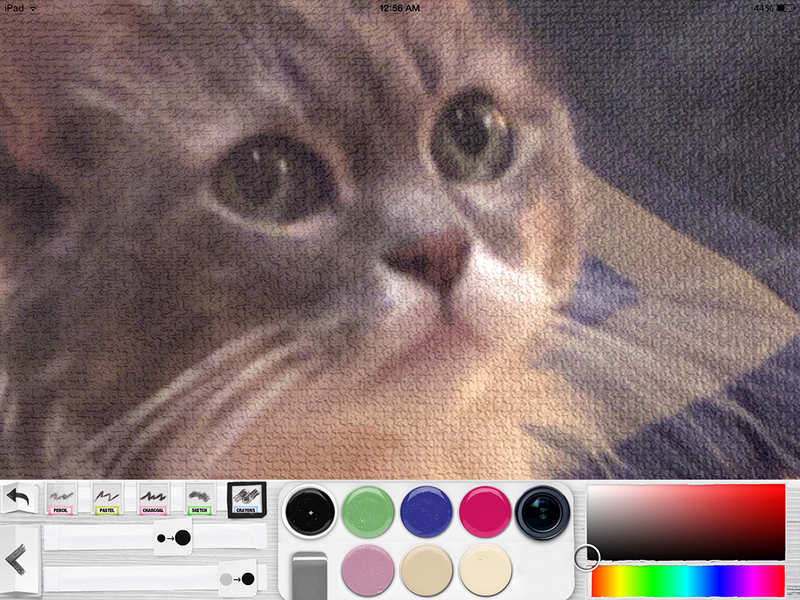 The app automatically selects the colors while you choose the brushes, canvas style and opacity. Don’t let your lack of artistic skill stop you. Just pull a picture from your camera roll. A basic version of the app is free and comes with the spray paint style fully operative. 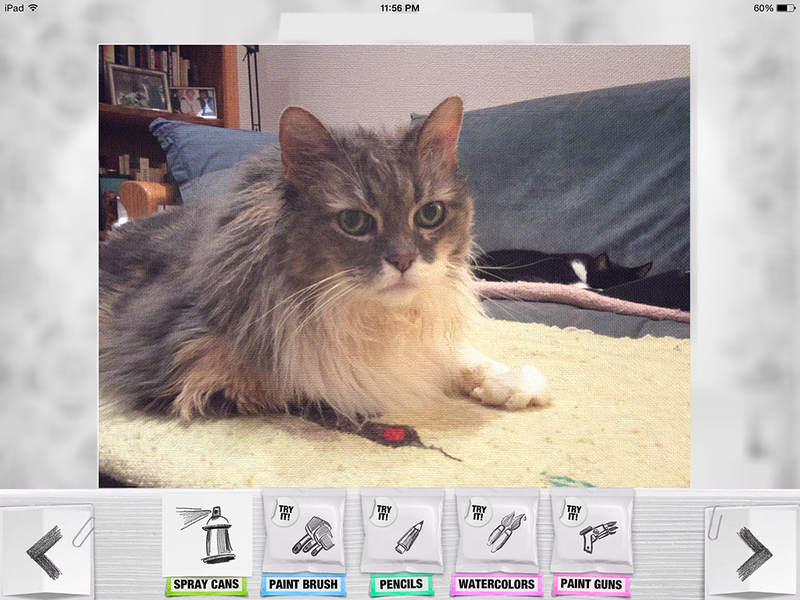 The other four painting styles — watercolors, paint brushes, pencil, and paint gun — are available as an in-app purchase pack for $5.99. All told, these support 25 built-in brush variations, including Monet, Van Gogh, Gauguin and others. An additional watercolor brush and a bristle brush are $1.99 each. A social component lets you publish your creations to the app’s public gallery and become part of a community of Psykopainters. 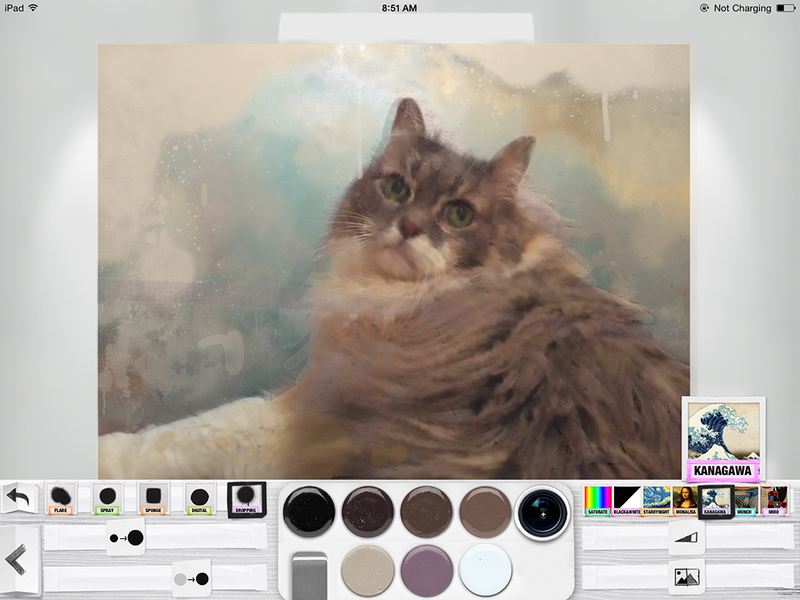 Psykopaint promises to be a fun and inspiring addition to your iPad painting arsenal. It performed well and was responsive on both my iPad Air and my iPad 2.